Thirteen is a lucky number for Uglydoll and 2014 is a very good year! As Comic-Con opens in San Diego, CA today – be sure to visit Uglydoll … because there’s a whole lot of exciting things going on in their world these days. As David Horvath and Sun-Min Kim announced earlier this year that they were heading to their new Asia headquarters in South Korea, home of their flagship Uglydoll retail store in Seoul, the company has been making headlines for itself ever since. 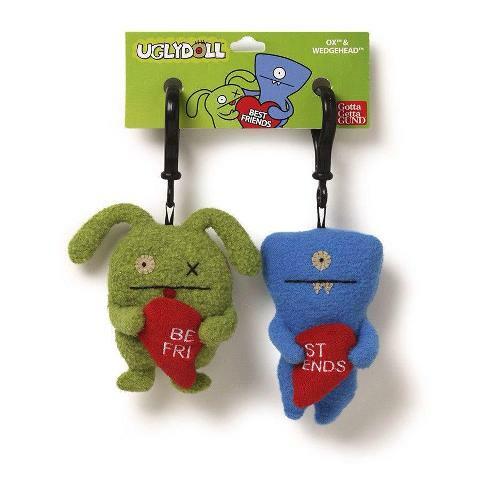 In addition to expanding its retail presence and licensing program throughout Korea, China, Japan, Hong Kong, Singapore, Taiwan, the Philippines and beyond, Pretty Ugly™, LLC, parent company of the award-winning Uglydoll® brand based in Green Brook, New Jersey, granted license to Howard Keys to produce keys, key chains and lanyards in North America, Canada and selected International Territories, announced a partnership with Fetch…for pets!, a leading manufacturer of pet products in North America, and débuted the latest original graphic novel release from San Francisco, CA-based VIZ Media’s Perfect Square imprint, Uglydoll: My Hero? The novel features 10 full-color stories by veteran Uuglydoll writer and artists Travis Nichols, Ian McGinty and Phillip Jacobson, with help from Sun-Min Kim, Theo Ellsworth, renowned pop culture artist/writer Junko Mizuno, and two talented design teams from Japan -Mad Barbarians and Devilrobots. 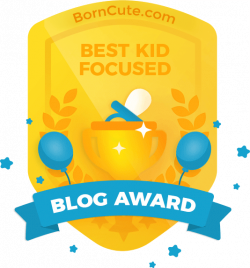 And there’s more … as I say, Uglydoll’s 13th year is a very lucky one! A co-branded collaboration with Warner Bros. Consumer Products to create plus based on The Wizard of Oz™ and fan-favorite Uglydoll characters, Moxy™, Wage™, Jeero™, Babo™ and OX™ to follow along the Yellow Brick Road. 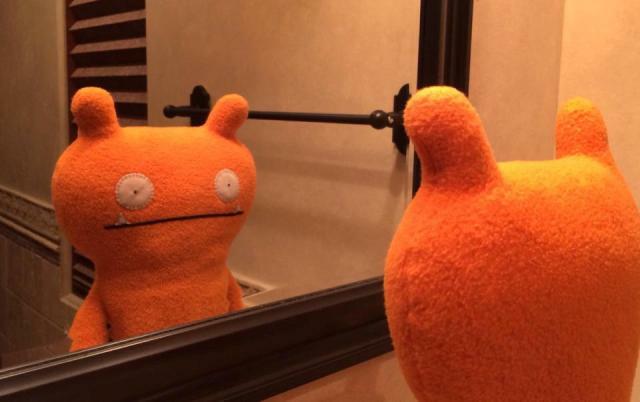 Being different and unique is what Uglydoll™ is all about! Celebrating who you are inside and out is the new beautiful. David Horvath and Sun-Min Kim founded their company, Pretty Ugly, LLC in 2001-and the rest is, well, pretty ugly! The team started creating Uglydolls -Wage, Babo, OX, Ice-Bat and their Uglydoll pals- who express themselves through laughs, tears, love, adventure and also candy (they tell me). 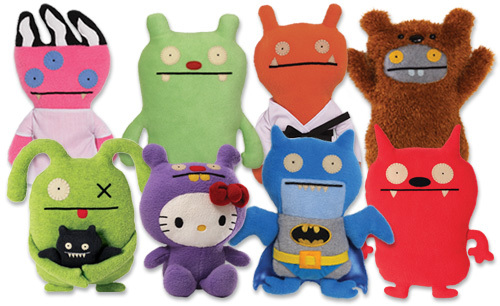 In the Uglydoll universe, “ugly” means unique and different. And that’s just what these dolls are – unique and different, garnering a ton of awards from the 2006 Toy of the Year, Oppenheim Best Toy, Fat Brain Toy Award, Learning Express Toy Award, Creative Child Toy Award to Parent’s Choice Best Toy. The New Jersey-based online store, http://www.uglydolls.com sells a plethora of ugly merchandise, including comic books, UGLYDOLL PLUSH, Action Figures & FUNKO Vinyl, Apparel, Ceramics, Citizens of the Uglyverse™, HELLO KITTY & Limited Releases, Tin Toys, Uglybuddies, Uglypillow™, MIMOBOT®, UNIVERSAL MONSTERS, Watches and more. All of it is so ugly, it’s adorable!